Happy Wednesday! 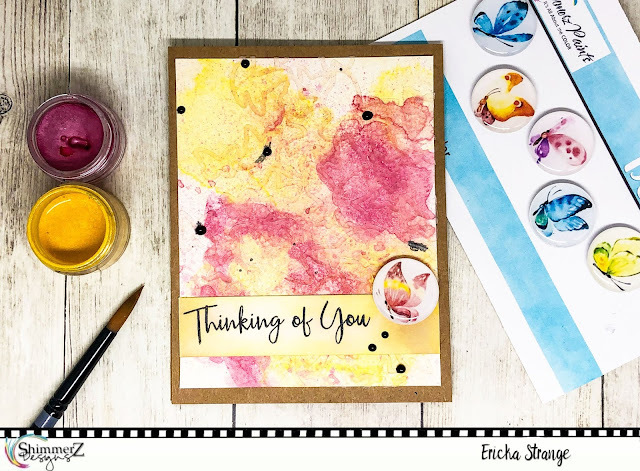 I hope your week has been going well and you have had a chance to get creative. 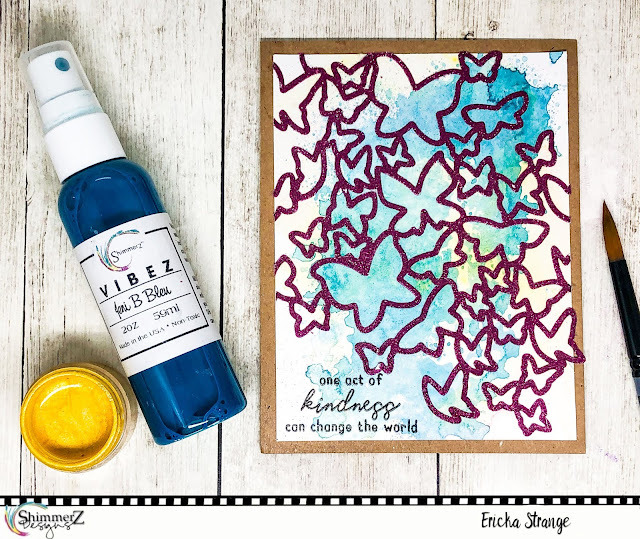 Ericka here, and I have three examples of ways you can use cut files on your cards. 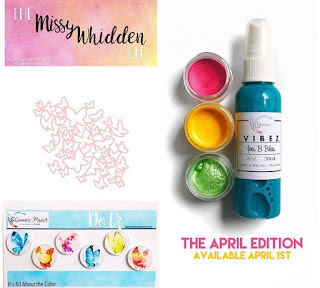 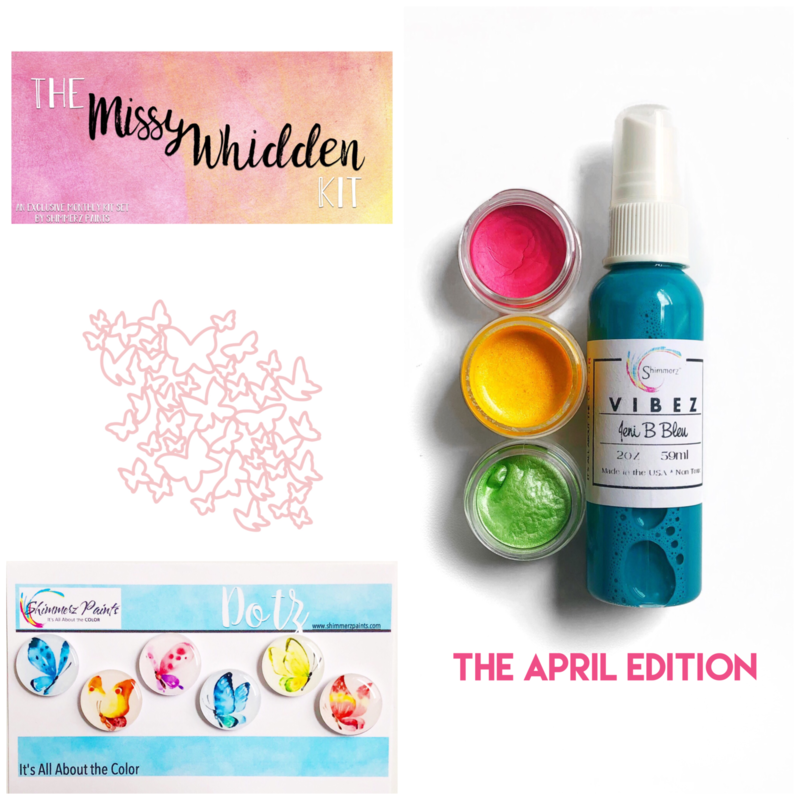 Today I'm using the beautiful April Missy Whidden Color Kit and the butterfly cut file included in it. For this glittery butterfly card, I placed double stick adhesive on one side of the the paper and then proceed to use the cut file in my Silhouette machine, sizing it to fit on an A2 card. 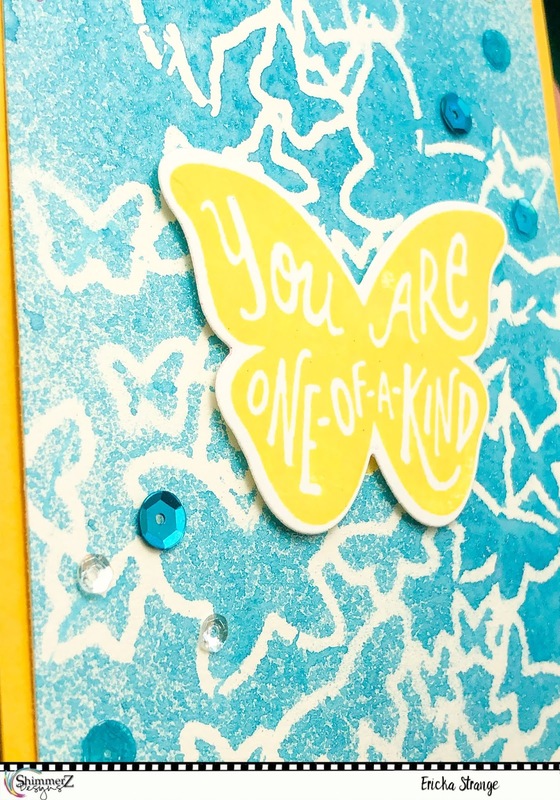 Once it was finished cutting, I removed the adhesive on the butterfly portion and used glitter to cover the sticky adhesive. I glued the cut file onto the base and then added this sentiment from Reverse Confetti. 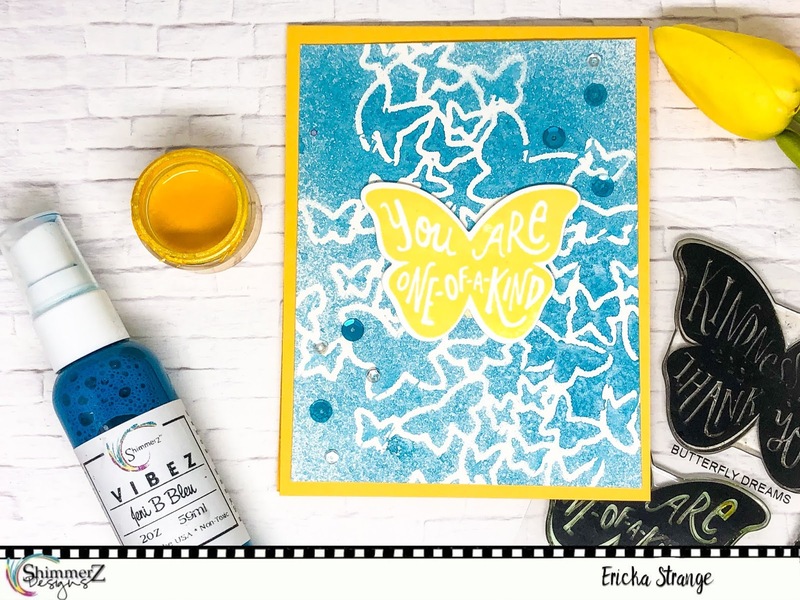 I used Shimmerz Bumble Bee and 1 Hot Mama Creameez for the background on watercolor paper. 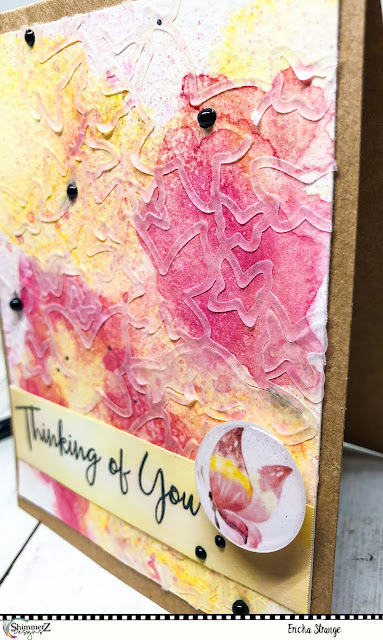 It's difficult to get a good picture of the texture that the vellum cut file gives to the card but here is a closer look. 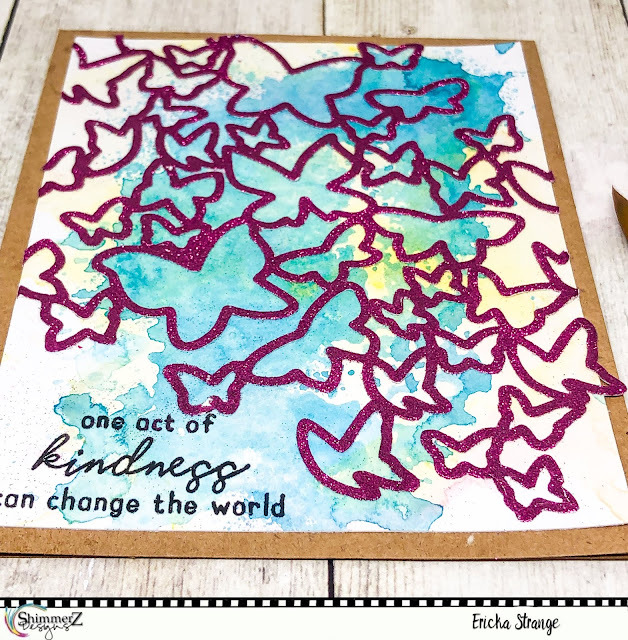 This was a quick fun card that I added a Reverse Confetti Butterfly to with some blue sequins. 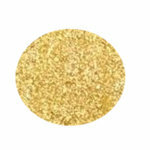 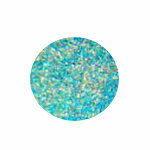 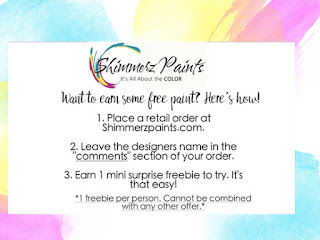 I love the shimmer the Jeni B Bleu adds to any project.